I don't know about you all, but I'm getting sick of the bazaar crap. You heard me! I'm going to be so excited when it's over and my posts change to things I really want to make, not just things I think could sell. Oh, wait, Christmas is coming up--those really-want-to-make things may have to wait! 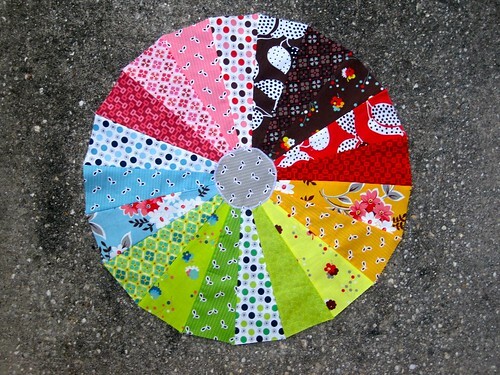 :) This is little circle of Flea Market Fancy will eventually be a table topper for the bazaar (if I can manage to sell it). 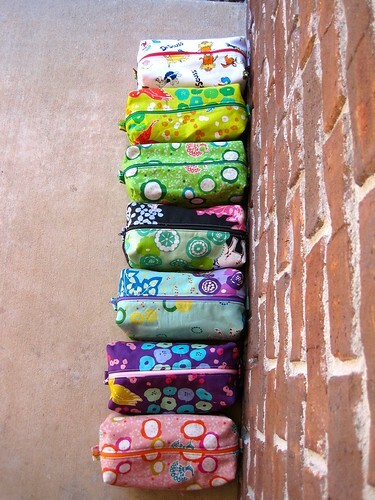 I made these boxy pouches a while back, but got burned out during the last step so I just finished them last night. In case anyone is curious, this is my stack of stuff for the bazaar so far. In non-bazaar news, I finished my pillow top for PTS6. I will be posting my original LOVE letters (a different size than this) on my blog for free soon. I'm in the process of creating an entire alphabet of paper pieced letters to sell in my etsy shop so you'll get the free ones once the rest are done! I hope you sell it all! My friend Royce wants me to do some craft shows, but I'm just not at the point where I want to make a bunch of stuff not knowing if it will sell. I can't even keep up adding new stuff to my etsy shop. I know it has been lots of work for you, hopefully the reward will be lots of money to replenish your stash! Yay! for getting ready to make an offer on a house... exciting! Can't wait to hear ALL about it! yay for paper pieced letters! i can't wait! 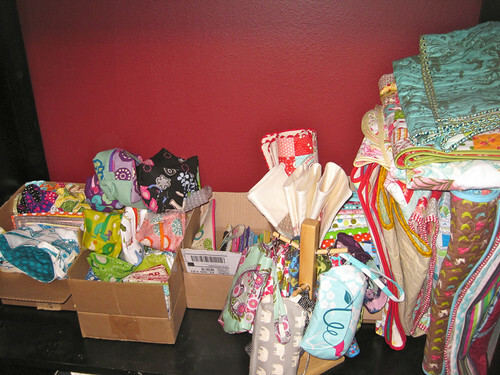 it is fun to see your pile o'crap to sell growing and growing. i love that fmf table topper. i can't wait for that line to be re-released! Oh I wish I could come to your bazaar, your 'stock' looks amazing - it will be worth it!! A friend and I have recently declared January and February 'make anything we want just for us' months, after all the swap maddness and Christmas dies down! I hope your bazaar is hugely successful. I just love your LOVE pillow!!!! Love the paper pieced letters idea! Your bazaar stuff is so awesome! I'm very impressed.